So much has been written and said about Levon Helm in the days since his health took its final turn that there's not much to add. But a couple of things have been on my mind. 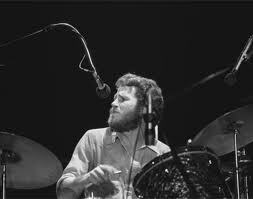 First, as an occasional drummer, it's impossible to comprehend playing soulful music without dealing with the way he manipulated time: just playing alongside musicians as idiosyncratic as Garth Hudson, Rick Danko, Richard Manuel, Robbie Robertson and Bob Dylan—alternately pushing and pulling them—and keeping it all as tight (and loose) as it sounded! Often overlooked when people talk about the great percussionists of the 1960s and '70s, he was a master. As I write this, I notice that the great Jack DeJohnette has paid his props to his Upstate New York neighbour. Second, I cherish the times I got to listen to him close up, when he hit the road with Earl and Ernie Cate after The Band fell apart. At Ottawa's legendary Barrymore's, I saw a number of musicians who had once played to audiences hundreds of times larger: Gregg Allman, Sly Stone, David Johansen, Burton Cummings. No one ever handled that shift from mass appeal to playing a Sunday matinee or Tuesday night gig at a small club in Ottawa with more grace than Levon. Watching him on nights like that made you realize that this was a man who never viewed playing music as a job. It was a joy, and that fact was all over his face, and all through his music. In those days, he always struck me as a small-town baseball player who had taken his shot at the big leagues, had a few seasons at the top and now was back on the bus, just happy to be able to play a game for a living.